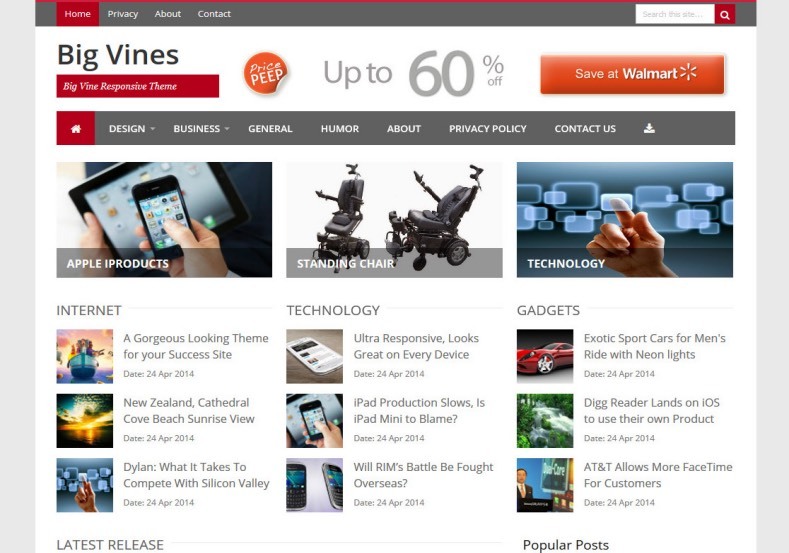 TemplateHack.com - Download BigVines premium blogger template. Big Vines is one of the best magazine blogger template that adapted from Wordpress template. This template came on its finalizing stage in the blessed month of Ramadan. Whatsapp is on the edge or success, every person with a cell phone is having whatsapp installed. I will share BigVines premium for free, so enjoy it. If you are already impatient and interested in BigVines, please click the button below.